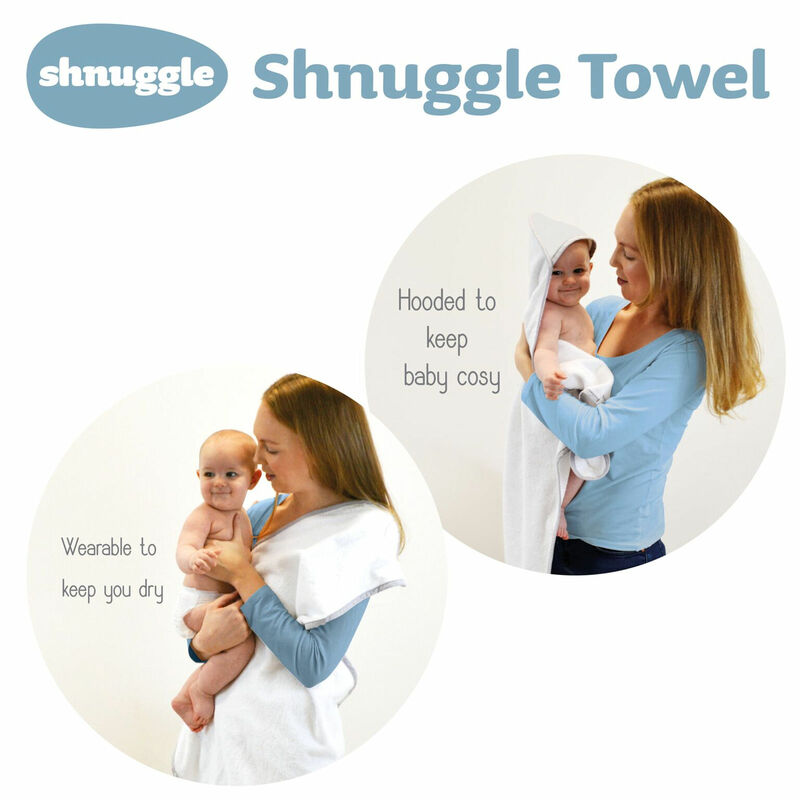 The luxurious hooded towel by Shnuggle is ideal for keeping your little one cosy and warm after bath time. 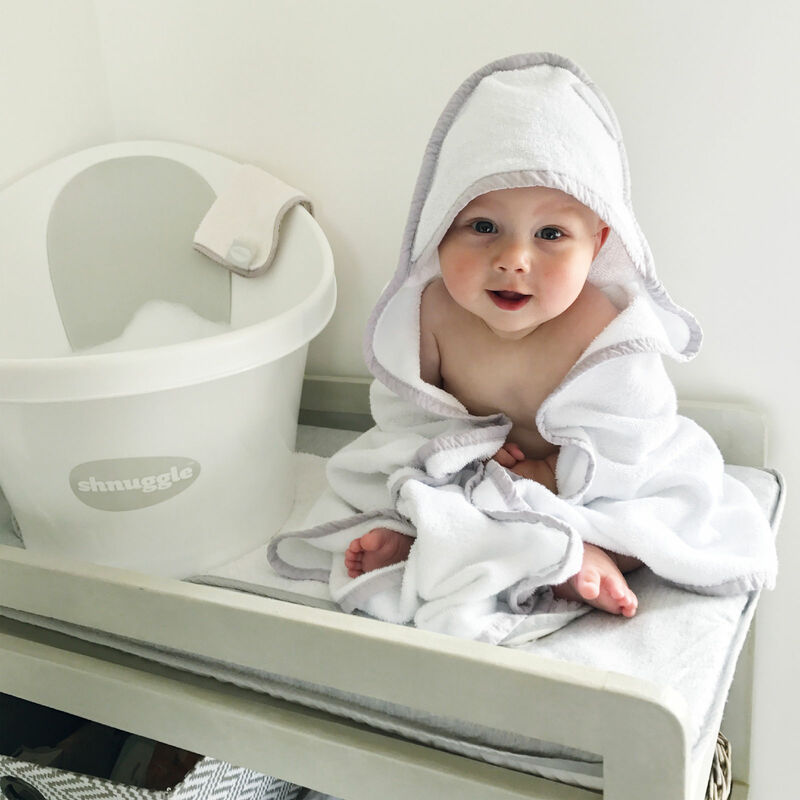 With its unique design the hooded towel is made up of soft white cotton with a stylish grey trim and is the ideal shape from wrapping up baby. Complete with hood the towel is soft against baby’s delicate skin and would make the perfect bath time accessory.